Situated in a well-established residential and commercial area, Varcity Homes offer comfort and premium services at pocket-friendly cost. 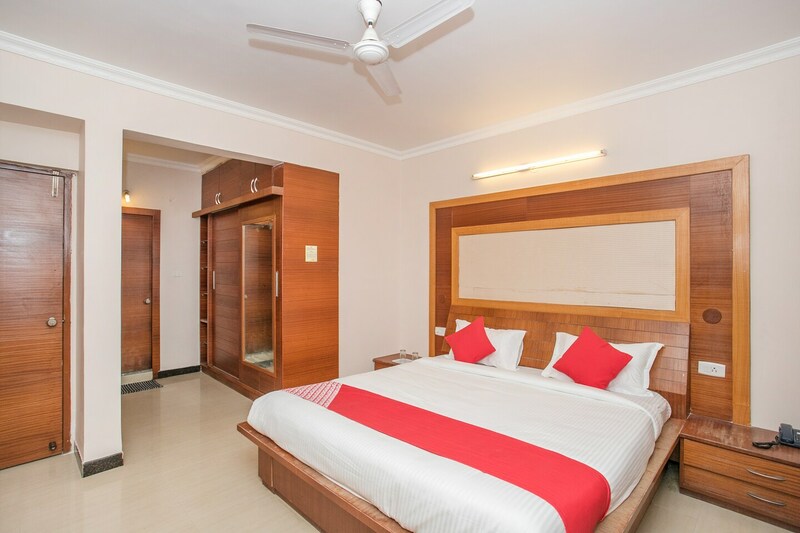 The hotel has classic rooms and are well-equipped with various amenities. The decor in each room has a modern look. The well-lit room adds vibrancy and ease of home to space. Guests can avail the facility of free Wifi to connect with friends and family or catch up on work. Payment can be made using cards. The Varcity Homes is conveniently close to key attractions like Bangalore Palace, Iskcon Temple and National Gallery of Modern Art.